1. 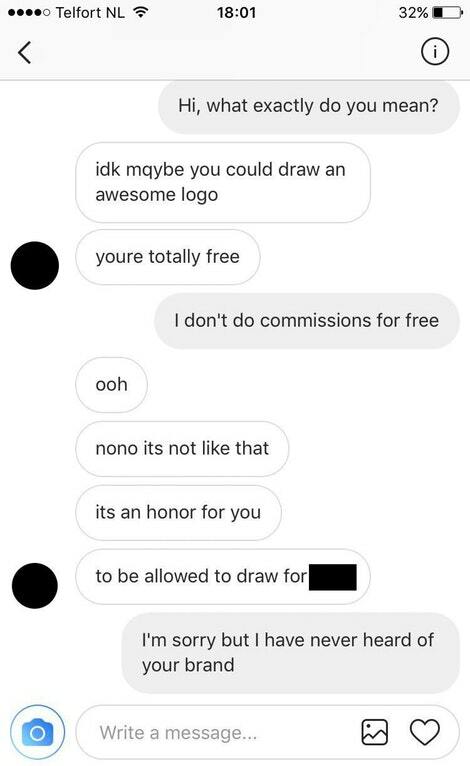 The person who thought they were so famous they could get art for free. 2. 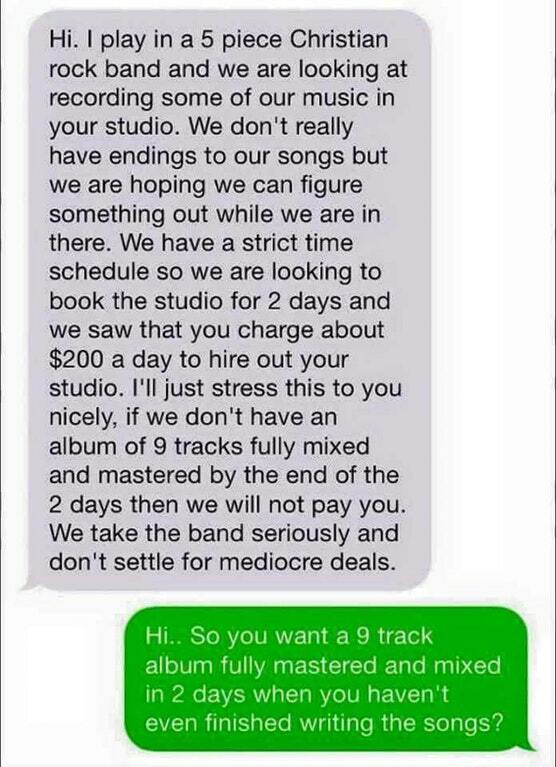 The person who wanted someone to write, record, and produce their own album in only two days. 3. 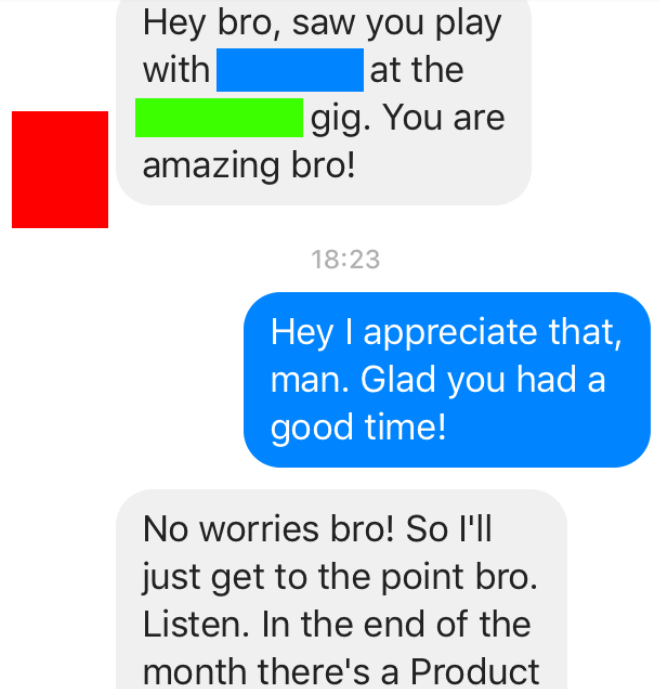 The person who wanted a musician to pay for his own flight in order to play a gig for free. 4. 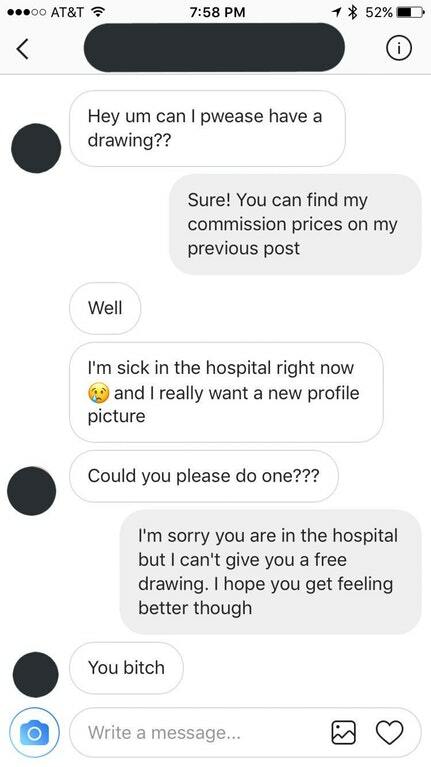 The person who claimed they were in the hospital, and therefore deserved free art. 5. The person who didn't think they should pay web designers. 6. 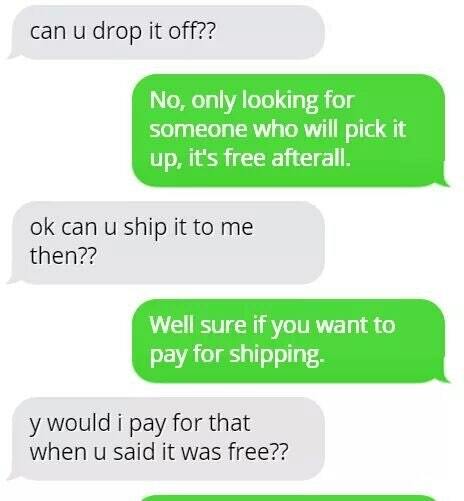 The person who thought that since an item was free, everything should be free. 7. 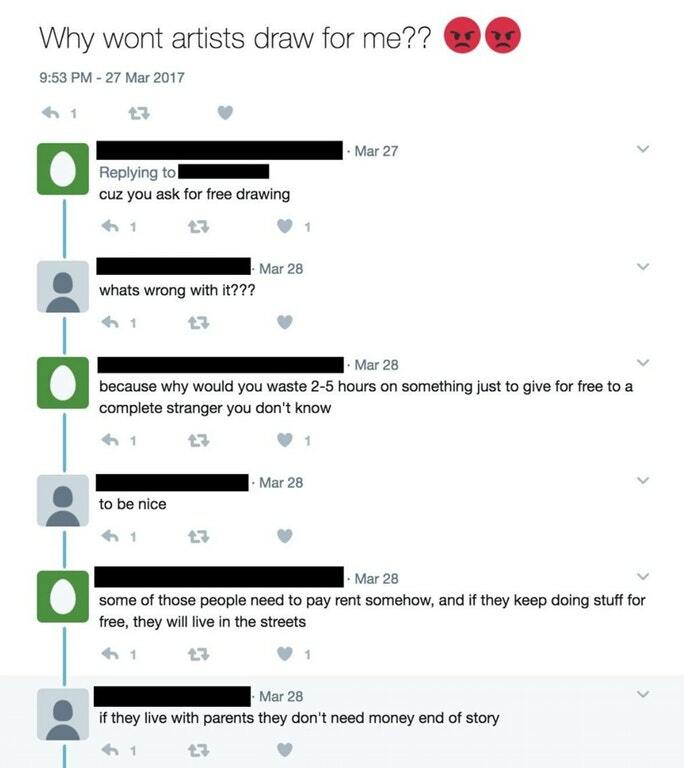 A person who thought that artists should live with their parents so that they could get art for free. 8. The person who demanded free transportation for 20 people, and would not compromise even a little. 9. 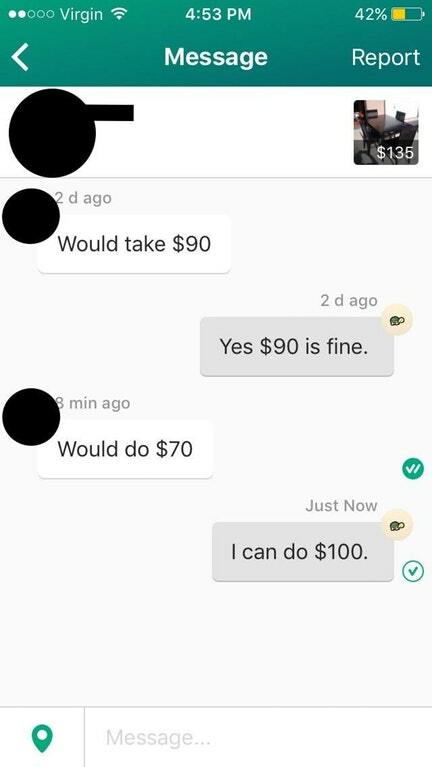 The person who asked for a discount, and then a discount on that discount. 10. 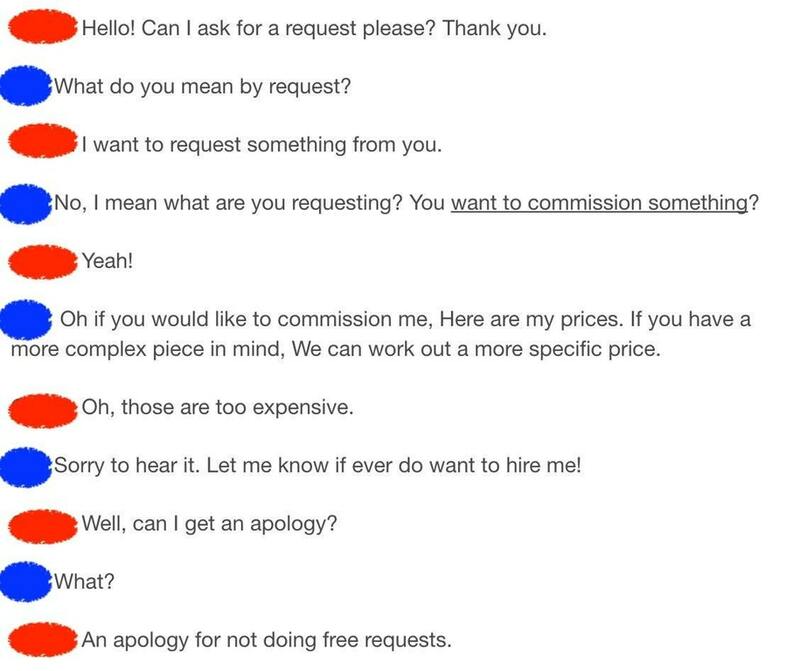 The person who asked for a discount, then offered the exact same item back — for a higher price than the original. 11. 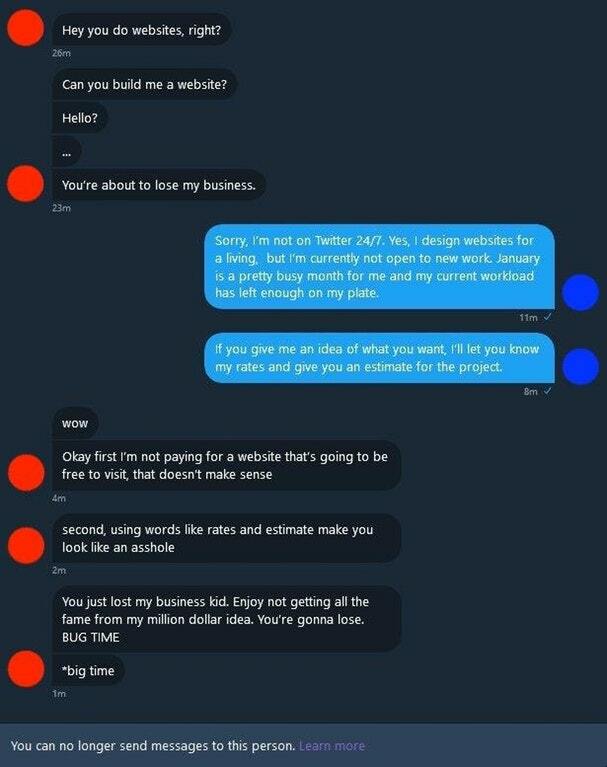 The person who thought they could pay someone in "exposure." 12. The person who was extremely offended that someone wouldn't work for free. 13. And the person who insisted they could get the same thing for $15 somewhere else (but then kept asking, and asking, and asking...).